PepcoConnect's Blog | Energy for a changing world. Energy for a changing world. Washington, D.C. (August 14, 2018) – Pepco reminds customers of important energy assistance still available in the District of Columbia and Maryland to help meet their energy needs. Up to $1,000 in grant support per customer is available depending on a household’s income, size and type of fuel, with no pay back required. Pepco customers in the District can take advantage of the Low-Income Home Energy Assistance Program (LIHEAP) until September 30 by submitting applications now to secure grants while money is still available. Washington, D.C. customers can get more information on where to apply for benefits at the District’s Department of Energy and Environment website. The new program year in the District of Columbia will begin on October 1 with new eligibility requirements. In Maryland, Pepco customers can apply for energy assistance until June 30, 2019, through the Department of Human Services website, by visiting a Local Energy Assistance Office, or by calling the Office of Home Energy Programs at 1-800-332-6347. To be eligible for a grant, a customer’s annual household income cannot exceed 150 percent of the federal poverty income guidelines. Each state has determined eligibility guidelines based on household size and income. For example, a family of four in Maryland with a monthly household income of $3,660 can qualify for help. While in Washington, D.C., a family of four with a monthly household income of $4,830 can qualify for help. Homeowners, renters, roomers, and subsidized housing tenants may be eligible. Customers do not have to be behind on their bills to receive a grant. In addition to LIHEAP, additional funds are available for our low- to moderate-income Montgomery County customers who are having challenges paying their energy bill through the Washington Area Fuel Fund. Customers should contact the Montgomery County Salvation Army at 301-515-5354, Extension 901 regarding eligibility and enrollment. Customers can also contact Pepco Customer Care at 202-833-7500 to ask about available resources or register for My Account, a web-based interactive tool that provides customers with a detailed analysis of their specific electric use and offers ways to save money and energy. Customers can visit Pepco.com to find out more about these programs. Pepco will work with customers who may have difficulty paying their energy bill. The company offers payment options, like budget billing, which averages payments over a 12-month period to help customers manage their monthly energy bill, or flexible payment arrangements that offer individually tailored payment installment plans. Customers who may be struggling to make a payment should contact Pepco as soon as possible at 202-833-7500. To learn more, readers are encouraged to visit The Source, Pepco’s online news room. Find additional information about Pepco by visiting www.pepco.com. Follow us on Facebook at www.facebook.com/pepcoconnect and on Twitter at www.twitter.com/pepcoconnect. Our mobile app is available at www.pepco.com/mobileapp. About Pepco: Pepco, a public utility owned by Exelon Corporation (NYSE: EXC), provides safe and reliable energy to more than 842,000 electric delivery customers in Maryland and the District of Columbia. WASHINGTON, D.C. (June 21, 2016) – We are monitoring the approach of a cold front, which is expected to move through the region early this afternoon and into the evening, sparking severe thunderstorms that are capable of producing 60 mph wind gusts, hailstones, lightning strikes and a small chance for an isolated tornado. These storms could damage the electric system and cause power outages. In response, we have scheduled additional field and call center personnel to be ready for the restoration of service. We have about 150 internal linemen, 250 contractors and 180 tree-trimming personnel assigned to the system. Should we need assistance, we could potentially draw upon resources from our family of companies including those from Baltimore Gas & Electric, PECO in Philadelphia and ComEd in Chicago. Customers are asked to please report any outages and to stay away from any downed wires. To report outages and/or downed wires, please call 1-877-PEPCO-62 (1-877-737-2662), follow the prompts, and please ask for a call back to confirm that power has been restored. Outages also may be reported through pepco.com or through our mobile app. We’ve been alerted to a scam variation that primarily threatens to shut off electric service to customers because of false overdue bills. As in previous cases, like the “Green Dot Scam,” a person warns customers their electric service account is delinquent and will be shut off for non-payment unless immediate payment is made. A “Green Dot” prepaid money card is the scammers’ payment of choice because they can immediately collect the money, and the cards are not traceable. The new reported twist involves criminals impersonating utility workers and appearing in person at a site with false credentials while the intended target simultaneously receives a phone call allegedly from the utility company. The latest information from law enforcement is that the call looks real because the scam uses a spoofed Pepco phone number that may appear legitimate. The person calling also provides a reply phone number that directs customers to a phony automated Pepco answering service. We want our customers to know that Pepco would never threaten to disconnect service without first offering multiple payment options. We do not endorse a specific form of payment to address past-due accounts, and our automated calls do not include a specific dollar amount for security reasons. If you have any doubt about the validity of a person who claims to represent Pepco, they should call our Customer Care line immediately at 202-833-7500. We actively work with authorities to protect our customers. We strongly encourage not providing personal protected information. We advise customers to report any suspicious activity to local authorities, including the District of Columbia Office of the Attorney General and the Maryland Attorney General, Consumer Protection Division. Our WaterShed Sustainability Center will showcase the latest electric vehicles (EV) from BMW, Tesla and Ford Motor Company this Saturday from noon to 4 p.m. and show customers the benefits of electric powered vehicles. The event kicks-off National Electric Drive Week in partnership with the Electric Vehicle Association of Greater Washington, D.C., whose members will attend with their various models of electric vehicles. National Drive Electric Week, which runs from Sept. 12 through Sept. 20, is a nationwide celebration to heighten awareness of today’s widespread availability of plug-in vehicles. It highlights the benefits of all-electric and plug-in hybrid-electric cars, trucks, motorcycles and more. The WaterShed Sustainability Center is located at the company’s Rockville Service Center, 201 West Gude Drive, Rockville, Maryland. It is a living classroom and laboratory for sustainable energy that features multiple electric vehicle charging ports and other hands-on, interactive displays. WaterShed is a natural focal point for having a discussion and educating the community about the benefits of sustainable water practices and sustainable energy technologies such as solar energy and electric vehicles. We encourage customers to visit our Sustainability Center to see comfortable, sustainable and energy-efficient practices at work. If you plan to bring a large group, we ask that you contact Scott Tjaden at WaterShed@pepco.com prior to your visit. We have made preparations for the 2015 hurricane season and remind customers to prepare for the possibility of damaging severe storms that could hit the region any time between now and Nov. 30. The National Oceanographic and Atmospheric Administration (NOAA) says the 2015 Atlantic hurricane season activity will likely be below normal but warns that coastal areas could see storms. For the six-month hurricane season, which began June 1, NOAA predicts a 70 percent likelihood of six to 11 named storms with winds of 39 mph or higher. Three to six of those storms could become hurricanes with winds of 74 mph or higher, including two major hurricanes with winds of 111 mph or higher. Storm readiness is also a year-round job for NOAA, which is responsible for tracking weather systems and providing the public with data, including hazardous weather alerts through the National Weather Service. Advanced metering technology that limits the amount of times it is necessary to send a truck with a crew to inspect an individual customer’s service. Pepco’s control center is now able to view metered service remotely, which reduces our carbon footprint and reaches larger known outages sooner. 150 permanent line personnel and 250 contract line personnel on the system and ready to respond to emergencies. A continuously updated free mobile app with interactive outage maps and more accurate restoration estimates to provide a convenient way for customers to get more information and reach us in the event of an outage. Our mobile app is available at http://www.pepco.com/mobileapp. An enhanced website outage map that provides more detailed views of outage situations and improved methods of providing estimated times of restoration. Since 2010, nearly 8,200 miles of trees trimmed to enhance the reliability of Pepco’s system. For people using life-support equipment that requires electricity to operate, please identify a location with emergency power capabilities and make plans to go there. Keep at least a three-day supply per person of non-perishable foods and bottled water, as well as a hand-operated can opener. Have a telephone with a cord or a cell phone to use as a backup. Cordless telephones require electricity to operate and won’t work if there is an outage. Protect electronic equipment. Unplug sensitive electronics or plug computers and other sensitive equipment into surge suppressors and consider an uninterruptible power supply for temporary battery backup power. Turn off power to flood-prone basement appliances if it is safe to do so. However, if using an electrically operated sump pump, the customer should not turn off the power. Have adequate prescription medicines or infant supplies on hand. Tune to local news broadcasts for the latest weather and emergency information and follow the advice of their local emergency management officials. Never use a generator indoors or in an attached garage. A portable generator is an internal combustion engine that exhausts a deadly gas called carbon monoxide or CO. Be sure to place the generator outside where exhaust fumes will not enter into enclosed spaces. Don’t connect your generator directly to your home’s wiring. If a generator is plugged into the electrical circuits of a home, it can back feed power into the utility company lines, which can injure or kill utility workers fixing downed power lines. It also can cause downed lines to re-energize. We remind customers to practice safety when someone claiming to represent the utility company contacts them either in person or by telephone. Scammers are telling customers that Pepco no longer serves their area and that they must provide personal information to open a new account. We are aware of these types of scams and it’s not unique to us. 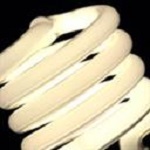 Nationally it’s been an issue, affecting utilities. We ask all our customers to keep an eye out for scammers posing as third-party energy suppliers. In the past, scammers have attempted to target customers through fake utility bills, “official” emails that contain viruses or malware, and by pretending to be Pepco representatives and requesting monetary payment over the phone or in person. Since we often contact our customers through these same channels, it is important that you verify the identity and affiliation of anyone who calls or shows up at your door claiming to be a representative. Similarly, make sure to only pay your utility bill through the mail, at one of our walk-in centers, online or through our mobile app. If you have any doubts about the validity of a person’s claim to represent one of our companies, contact us by phone immediately. We care about our customers and are committed to helping our customers manage their accounts. 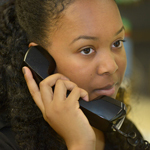 Customers can call our customer care line at 202-833-7500 for additional information. Our customers are able to shop among certified competitive electric providers. Whether you choose to stay with Pepco as your electric supplier, or choose another supplier, we will continue to provide safe and reliable electric distribution service. For more information on customer choice please visit Pepco’s website at www.pepco.com. We’re currently upgrading our customer information system. During this time, some of our self-service features may be unavailable or have limited functionality. Here’s some information regarding services that are affected. Our mobile app will still be available to report outages and view outage maps; however, there may be a few hours throughout this period during which these features will become unavailable. During that time, please call customer service at 202-833-7500 if you need to report an outage. Additionally, you’ll still be able to pay your bill through the mobile app. Please note, your account balance may not be updated in the app until our full transition is complete on or around January 5, 2015. My Account will have limited functionality during our transition and your most recent energy use information will not be available. Customers who are not currently signed up for My Account will be unable to do so until after our transition is completed. Some self-service features normally available through our customer service number are also unavailable. You can still call us to report an emergency situation or outage, and to make a payment. Additionally, customer service representatives will be available to assist you stop, start or transfer service, investigate billing issues and discuss third party supplier information. To speak with a representative about your account, please call during normal business hours, Monday through Friday from 7 a.m. to 8 p.m.
We appreciate your patience during this transition. For more information about this upgrade, visit pepco.com/accountfaq.